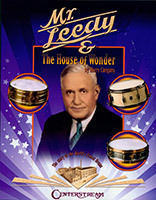 A traveling drummer from 19th-century Ohio, Ulysses Grant Leedy settled in Indianapolis and built the House of Wonder � a factory that set the standard for all drum companies to follow. This book takes readers inside Leedy�s world: his people, his designs, and the growth of his amazing enterprise. Music Man was like a brilliant comet of music-driven energy and technical innovation launched by the veteran team of Leo Fender, Forrest White, and Tom Walker the Chief Pilot/Navigator. Music historians have given these three industry pioneers each their own label. Leo Fender was the front runner and the 'founding father', Forrest White was in the 'right place at the right time', and Tom Walker was the 'genius' in the designs and improvements he master minded for guitar and bass amplification. 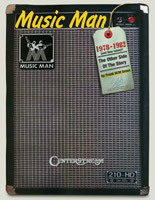 Music Man was Walker's inspiration! Produced from 1954 to 1969, Danelectro guitars have found a place in the hearts of collectors and players with their space age design and affordable price tags. 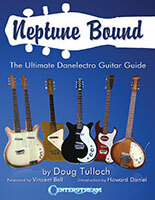 Here is the ultimate guide to all things Danelectro, including company history, instruments, patents, dating and identification, models, specifications and values, prototypes, print advertising, schematics, and much more. Full color throughout! One of the most bizarre stories in all of popular music is the history of "Orange Blossom Special," arguably the century's best-known fiddle tune. The man credited with its ownership, Ervin T. Rouse, endured tragedy, alcoholism and mental illness. The man who claimed co-ownership, Chubby Wise, achieved fame as the seminal fiddler of the bluegrass genre, but struggled to overcome personal demons and to heal the scars of childhood abandonment and abuse. This fascinating book uncovers how their legacies are forever linked with the legendary diesel streamliner which inspired the tune. The CD includes several recordings of this historic song. 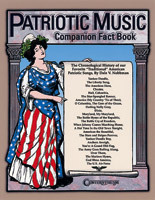 This title provides fascinating information on and arrangements of 25 traditional American patriotic favorites. The songs are arranged chronologically (starting with "Yankee Doodle" in 1755 and going through "The U.S. Air Force" in 1939), and included for each are background notes, the song's historical setting, biographies of the author or composer who wrote it, and more.